What better way to spend a relaxing evening with your fiance than watching a romantic comedy together? You have probably already seen a few wedding movies together, but forgot about the other lovely movies that are worth watching for the first time or for one more time. The beauty of watching these wedding movies during your engagement is that you can both relate to them in so many ways. They also provide a great source of inspiration for your wedding theme, decoration, fashion and beauty look. 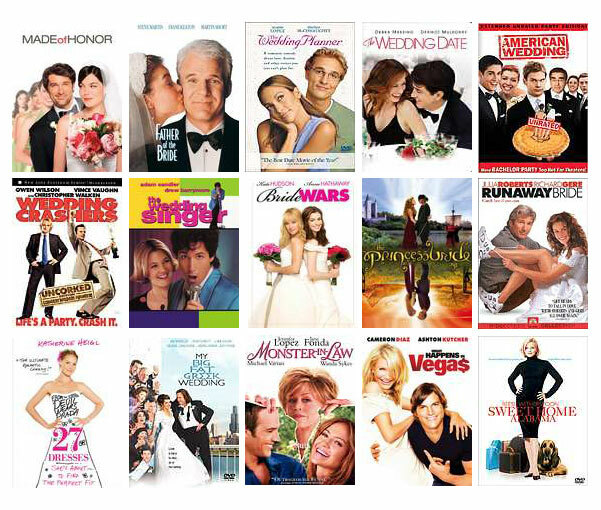 We have compiled a video gallery of 26 wedding movies on Arabia Weddings that includes trailers of well known Hollywood movies from My Big Fat Greek Wedding, which we in the Arab world can relate to a lot, to more recent movies like The Vow, although more dramatic than the others, Bachelorette, and The Five Year Engagement. Amman, 16 May 2012. Arabia Weddings, Jordan-based bilingual wedding planning platform, launched a video gallery today on both its Arabic and English interfaces. The video gallery covers a wide array of topics that aim to teach, inspire and entertain brides and grooms-to-be in the Middle East while planning their wedding. The ‘How to’ section aggregates videos that show brides-to-be, primarily, how to, for example, make home-made facial masks, apply make-up, arrange a bridal bouquet, or prepare simple dishes that can be used for pre-wedding parties. The ‘Marry Me’ album includes videos of creative marriage proposals, while the ‘Wedding LOLs’ section, compiles funny wedding moments, dances, blunders and bloopers from around the world. In the fourth video album, ‘Wedding Movies’, Arabia Weddings features movie trailers and wedding segments from famous movies that brides & grooms-to-be will enjoy watching during their engagement period. The video gallery will continuously be updated with new content aggregated from various sources including Jordan’s two new startups zaytouneh.com and ekeif.com. Arabia Weddings was established in Amman – Jordan in September 2011 with a vision to become the leading bilingual wedding planning website in the Arab world. Arabia Weddings addresses a growing need felt by engaged couples across the region while planning for their Big Day, as presently, the process of finding and booking suitable service providers and seeking advice to help them plan their wedding is too stressful; time consuming; frustrating, confusing and costly. Supported by Oasis 500, the MENA region’s premier seed investment accelerator for the ICT and digital media sectors, Arabia Weddings’ one stop online platform offers a wide range of benefits, valuable content, innovative planning tools and great money-saving deals that every bride and groom-to-be from the Arab world could benefit from.